Chronic pain is a general term that refers to pain that persists for an extended period of time (e.g., more than a few months). Chronic pain can originate from a wide variety of causes. Some – but not all – of the factors that may cause, or contribute to chronic pain include cancer, arthritis, herniated disc, torn ligament, and injury/trauma. Sometimes, the origin of chronic pain is psychological with no physical issue or condition at its root. Furthermore, in some cases, chronic pain has no identifiable cause, which can make its diagnosis and treatment quite challenging. The severity of chronic pain can vary significantly from day to day and from patient to patient. Pain that persists will frequently lead to functional impairments that can affect mobility and day-to-day activities. Other repercussions – many of which have great impact on the lives of patients – can include sleep disturbances, decreased appetite, weight loss, diminished libido, and constipation. Chronic pain can also have psychological repercussions, potentially severe, such as depression. Because chronic pain can originate from a variety of causes, its diagnosis is often difficult requiring a wide variety of approaches. To make an accurate diagnosis, health care providers will frequently evaluate all potential physical sources. Formal psychiatric evaluation may also be necessary when conditions such as depression are suspected as either the cause or the effect of pain. The impact of pain on a patient’s life may also be evaluated, typically by an occupational therapist. For most patients with chronic pain, a primary component of treatment will be medication, including non-sterioidal anti-inflammatory drugs (e.g., aspirin). Stronger medications such as opioids (narcotics) may be required when persistent pain is severe. Other treatments that may be used include physical or occupational therapy. Behavioral treatments – for example, patient diaries of daily activities – can help to improve function, even without immediately reducing pain. Various cognitive techniques of pain control (e.g., relaxation training, hypnosis) may also be useful for some patients. 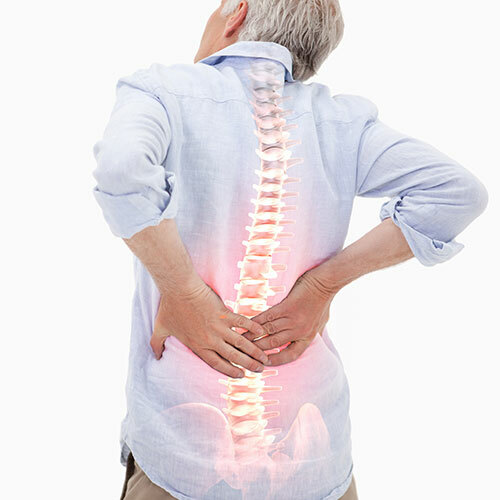 When a specific physical cause of pain has been identified, surgery may be required in order to eliminate or reverse the identified physical issue. Ultimately – for most patients – a multidisciplinary approach that incorporates a variety of treatments will be necessary. If you are suffering from pain that has persisted for an extended period of time, why wait another day? The friendly staff at the Florida Spine Institute is here to help. Markman J et al. Chronic pain (2014). The Merck Manual Professional Edition. Available at: http://www.merckmanuals.com/professional/neurologic_disorders/pain/chronic_pain.html. Last accessed December 8, 2014.